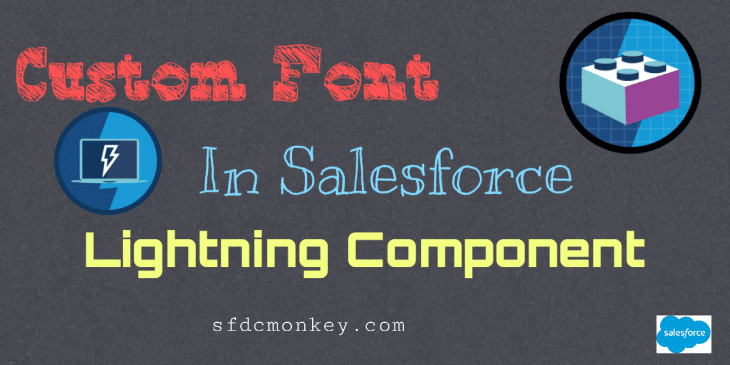 Hi Guys, Today in this post we are going to learn about how to use custom font in salesforce lightning component by static resource. 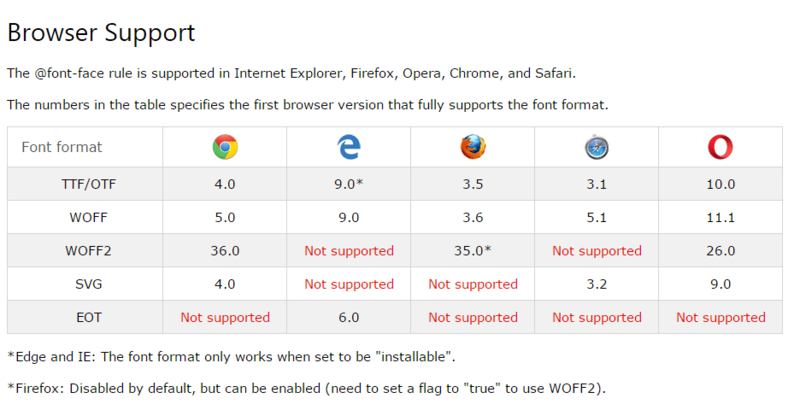 Step 1 : Download and Upload Custom font in Static Resource. you can download custom font (free/paid) from various web resources and the upload your custom font as a zip file or single file in static resources. 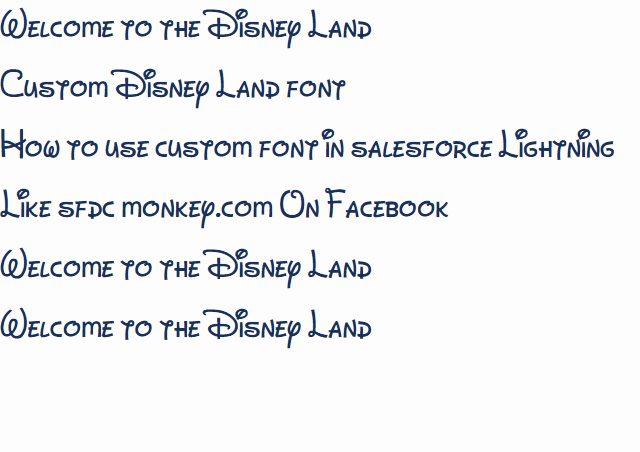 1001 free custom fonts download here..
For this post we will use custom Freeware “Dan’s Disney” font. After successfully download custom font now we will upload it as a static resources. For upload font file (.ttf), from Setup, enter Static Resources in the Quick Find box, then select Static Resources, and click New. In the Cache Control drop-down list, select Public. After Upload Custom Font file in Static Resource, Now time to use it in the lightning component, we are using CSS3 @font-face property for use custom font in component. can we use .scss as static resource? ?